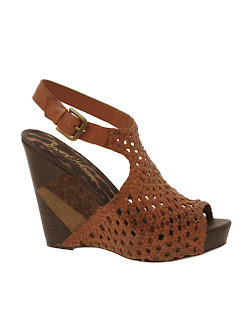 I think that the Wedge is the most perfect shoe for the summer. They are leg lengthening, so comfortable, come in a variety of styles and work well from day to night! Nicole Richie's favourite way to wear a Wedge is with playsuits and cut off denim shorts but you can also wear them with Jeans, leggings and dresses, practically everything depending on the style of shoe. This season's wedge is chunky and cut out. Check out ASOS.COM to view a variety of summer wedges. Nitrolicious did an amazing preview of the fall Winter Kate collection! Nicole has AMAZING legs !! I was thinking, it's been a long time since we haven't seen her, she might (really) be pregnant, after all?